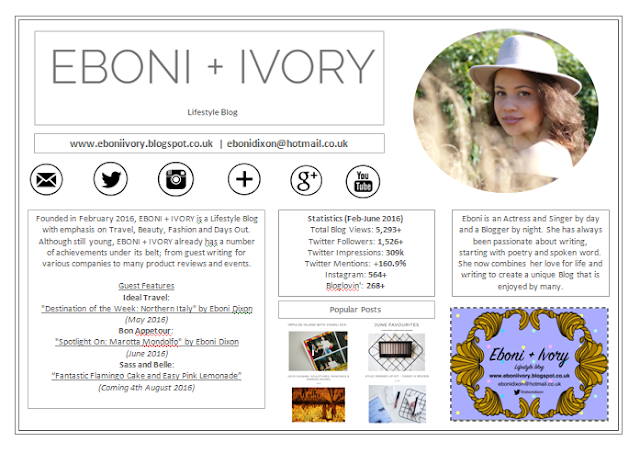 So today's post is going to be about how I designed and created my Media Kit/ Press Pack for EBONI + IVORY. I only started Blogging in February this year, but I have been interacting with quite a few brands and PR companies, some of whom have requested a Media Kit. I am by no means a designer, but with a little research I like to think I created a good beginner's pack! So I am going to share mine with you and give you some Top Tips on creating your own! 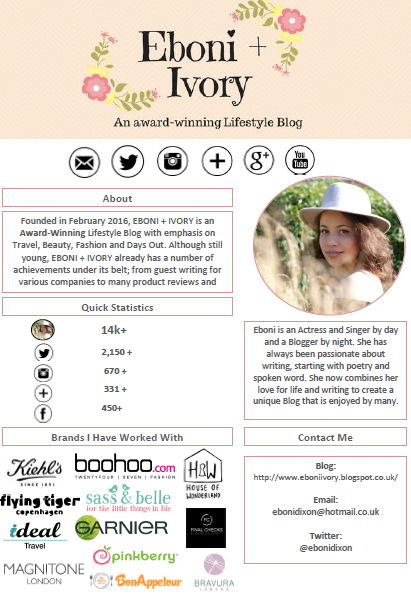 My Title Page was created using a screen-shot of my actual blog header my website homepage. I copied the screen-shot into Paint and cropped the bit I wanted. I have set it on a plain white background and added "Press Pack | July 2016" using a text box. 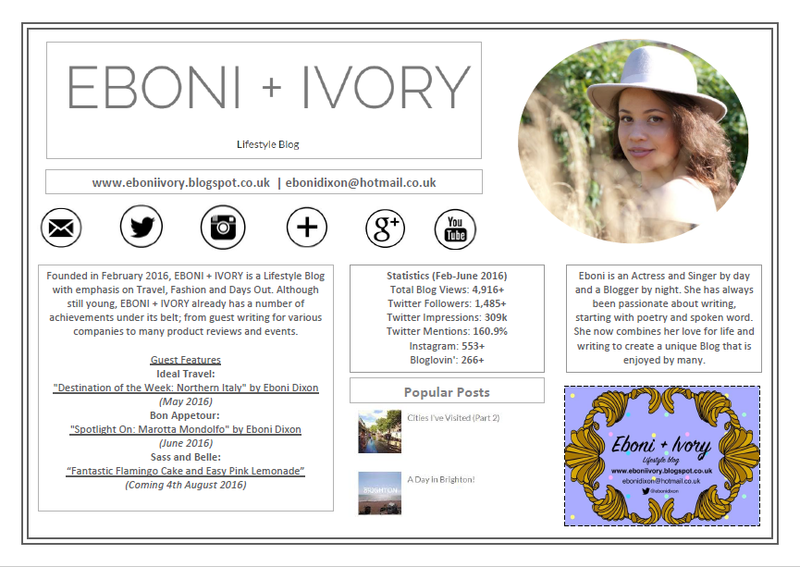 I used grey to compliment my actual blog and I also think it looks nice and simple/sophisticated! Page 2: The Main Body of the pack. This is the bit I found the most tricky as I had to fit a lot of information onto one page! Title of the blog with a web link and email address. Information about the blog and any significant achievements. But I have included stats that I sourced from Twitter Analytics (great place for big figures) and Blogger. If you use Google Analytics, here would be a great place to include any impressive stats from there. This is just an updated version showing how you can adapt the "Popular Posts" section. Make sure all of your links and social media icons contain Hyperlinks that direct the reader to the relevant web page. I have used an image I found on Google to create my social media bar. I will put it below for you to use if you like the design :) If not, there are loads floating around, just search "social media icons". Lastly, I have a third page of images that I think give a good impression of EBONI + IVORY. 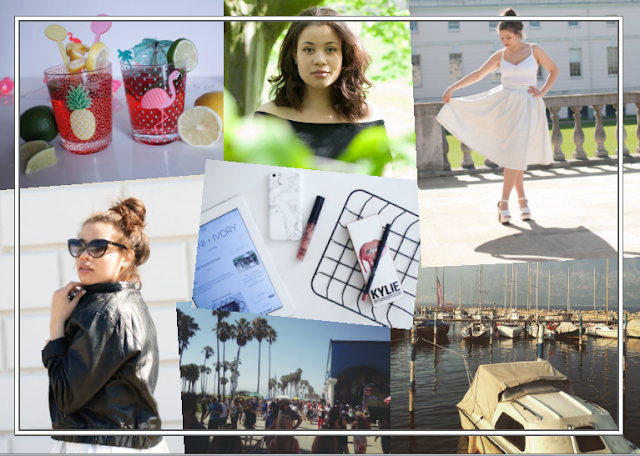 I have compiled some of my fav blog imgages to give an overall impression of my "brand" (omg I sound like a proper blogger wow) and to give a round up of the quality of my blog. I have layered these images using cropping, rotating tool and layer formatting. I added a border that mirrors the Page 2 border to continue the design theme. Lastly, rememebr to convert your Word Document into a PDF and give the file a great name. 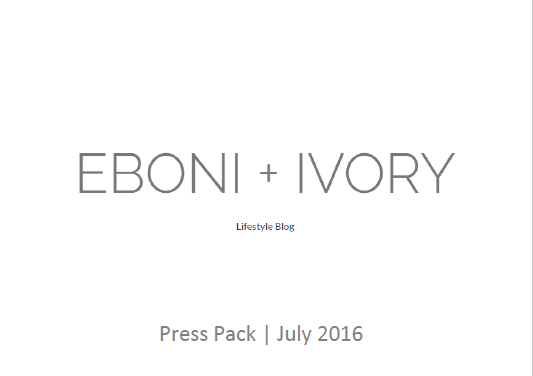 Mine is labeled "EBONI + IVORY_Press Pack_July 2016". And there you have it; a simple start to creating a Press Pack! I hope someone out there has found this useful and I hope you like my design. Let me know if you have any questions and if you found this useful (I'd honestly love to know if this was actually useful for someone). I have re-designed my Media Kit since this post. I will leave an image below to hopefully inspire you further! I decided I wanted a re-vamp of my kit firstly because I wanted to condense it into a single-page format. I also wanted to include some more information about "business" things like brands I have worked with etc. I have also changed which stats I display. I used Microsoft Word again and the logo was designed using some online software.